Scary Mommy published one of my articles today, "Why Your 'Innocent' Comments Are So Hurtful." My original title was "Parents, check yourself for invisible grenades." It's about the thoughtless comments that people make (often other parents) that tear you apart on the inside... yet no one can see the damage, including the person who caused it. 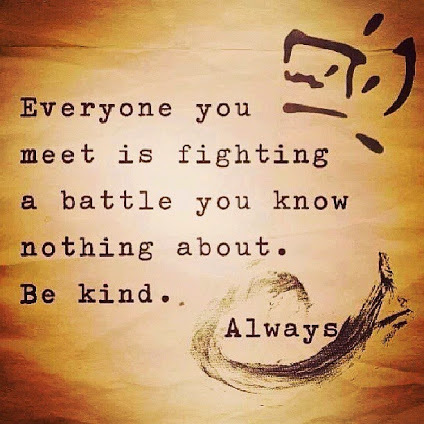 At the risk of sounding oversensitive or a little paranoid, I think it's a good reminder that words can really hurt, and we can all do a better job of being more kind to one another. In response to your Scary Mommy post, I was quite frustrated to read the comments painting you as being too sensitive. I get the sense most of the comments were written by the very parents to which the post was targeted, those who likely might never understand and empathize what it can be like on the other side. The post linked to your blog, and I felt compelled to come here and offer my support. I hear you. It sounds so tough. How brave of you to write an honest post! I imagine a mom reading it has related to it and found peace in not being as alone. Natalie, I'm not sure if you'll ever come back and look at this -- and I'm sorry it look me so LONG to see it -- but this comment really made my day and encouraged me to keep doing what I'm doing. I can't thank you enough for tracking me down and posting this wonderful comment!